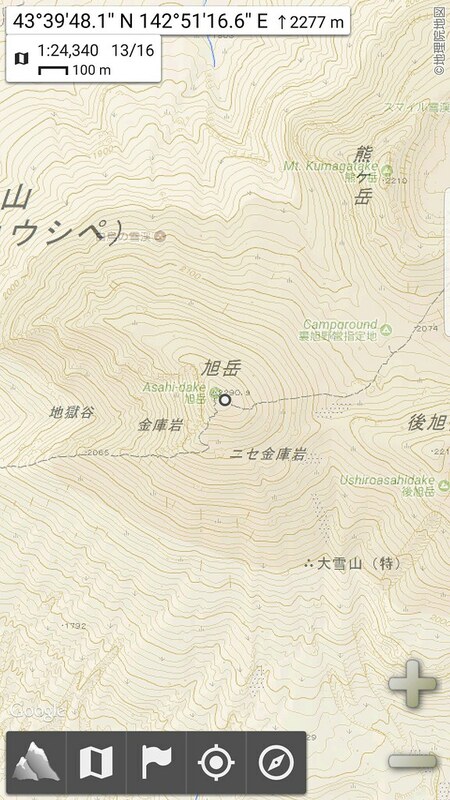 With an easy hack on your smartphone, it is possible to display official Japanese topographical maps in English, sort of - of the four apps outlined on this page, AlpineQuest GPS Hiking will allow you to overlay the Japanese topo map with English Google Maps. 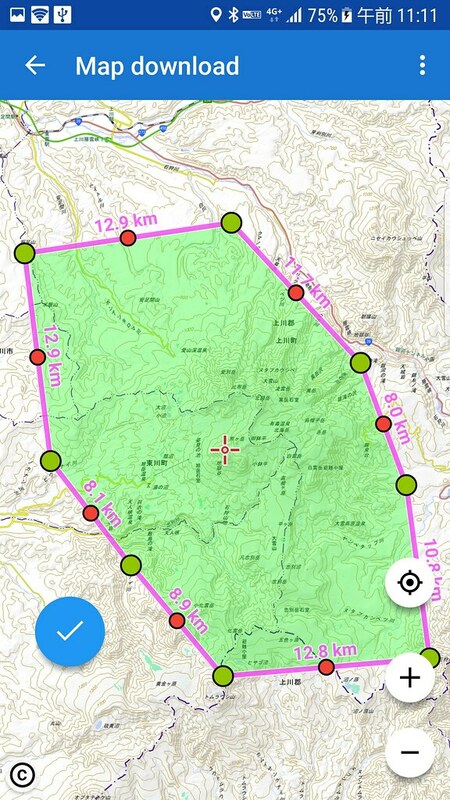 Below, I outline the features of Geographica (free on Android and iPhone), AplineQuest GPS Hiking (US$7.99 on Android), Locus Map (free on Android), and GaiaGPS (free on Android and iPhone), all of which will display official Japanese topographical maps. 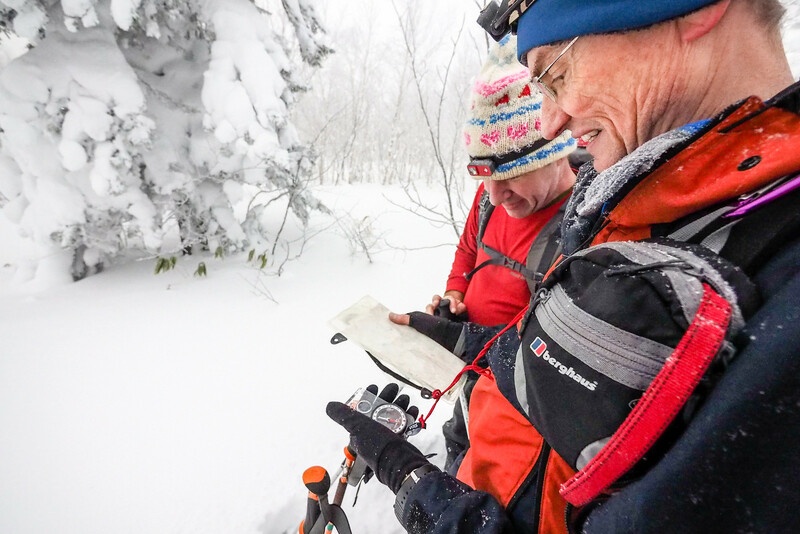 If you are serious about knowing your surroundings while backcountry skiing in Hokkaido, then you’ll want to have access to the Geospatial Information Authority of Japan (GSI) topographical maps on the fly. 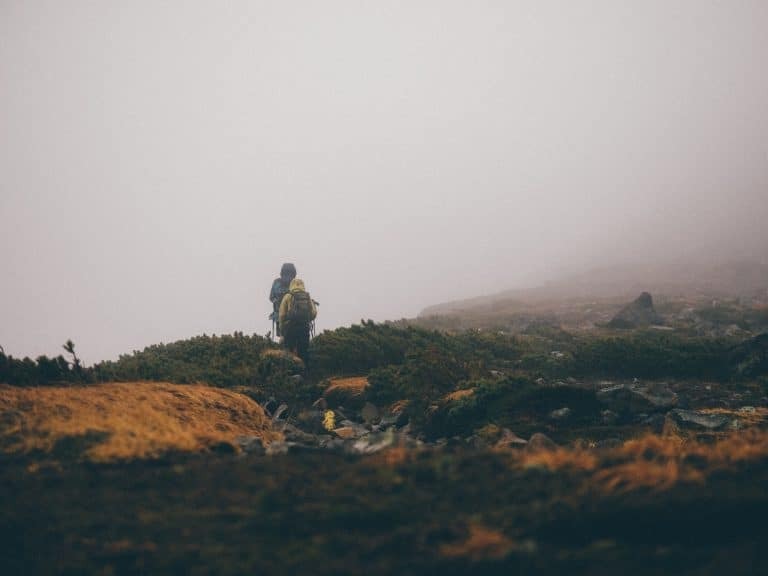 Before jumping into the apps themselves, let’s talk about the freely available GSI topographical maps, and how you can print them out for free as hard copies. The Geospatial Information Authority of Japan (GSI) is a department of the Japan Ministry of Land, Infrastructure, Transport and Tourism. They provide public survey and mapping information, and this includes producing detailed topographical maps covering the entire Japan land area. These topographical maps are available for free online (https://maps.gsi.go.jp). You can print them out from the online viewing tool (instructions below), but they are also available in print for about 350yen each at large bookstores (such as Kinokuniya next to Sapporo JR Station – location). Using GSI’s online digital topographical maps viewer, maps can be printed out, viewed in 3D (here’s Mt. Yotei in 3D), and have KML map overlays, among other handy functions. These maps can be pulled into a few GPS mapping apps for Android and iPhone (outlined below). 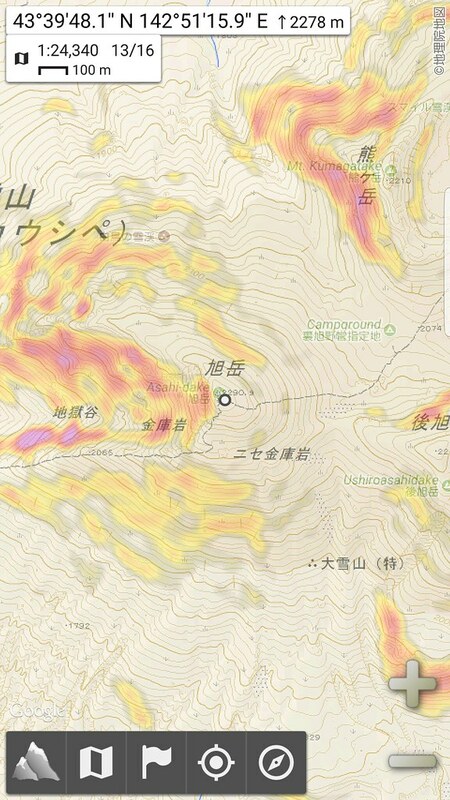 Even though the location names are all in Japanese, using the GSI topo maps in your smartphone app adds a massive layer of safety in the mountains. 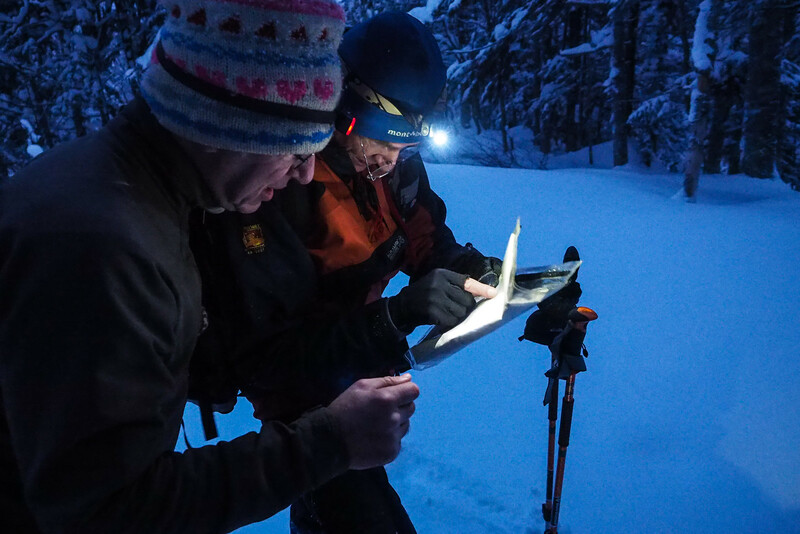 This is because the GSI topo maps have much finer-grained details than any other global mapping system. You’ll see bluffs, cliffs, building locations and more. Furthermore, using a Google Maps overlay on top of the GSI topo map will give you English place names (as in AlpineQuest GPS Hiking below). UPDATE (2018/10/18): I just stumbled upon a tool that makes printing these GSI maps easier (here). I will update the following soonish. Find the area you want to print, using the GSI’s online map viewing tool. 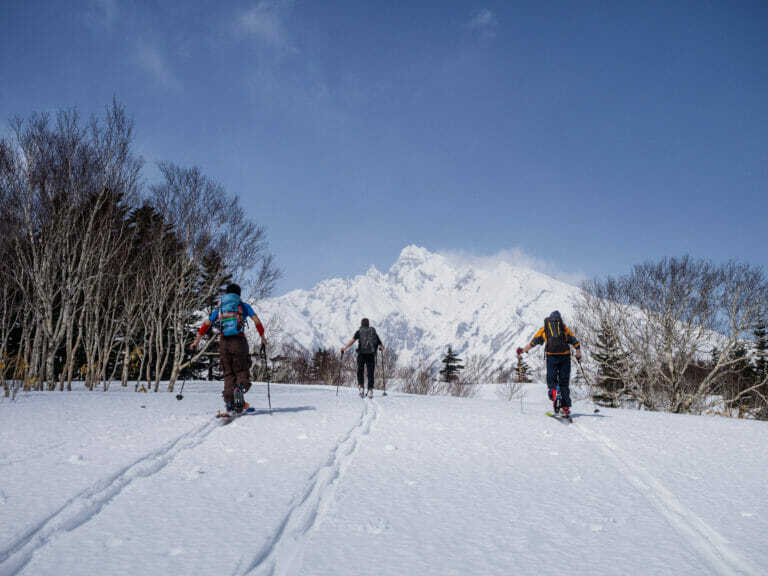 In this example, we’re assuming you’re hoping for some glorious weather to head up the Asahi-dake Ropeway and summit Hokkaido’s highest peak, Mt. 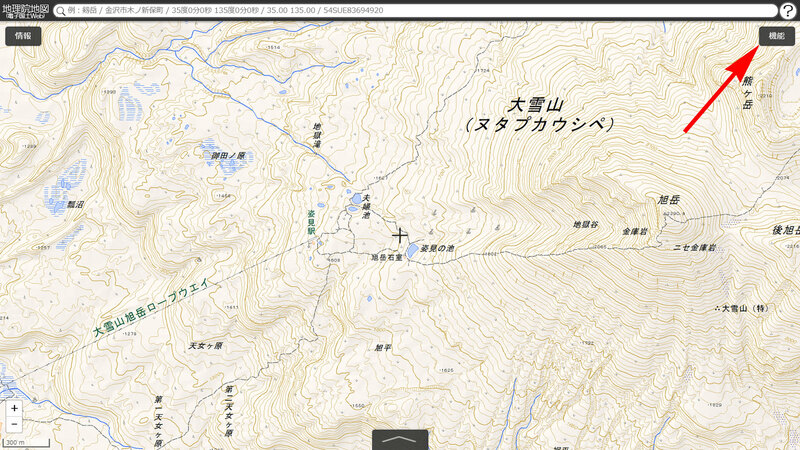 Asahi-dake (map here), or, perhaps, just wander among the fumeroles. 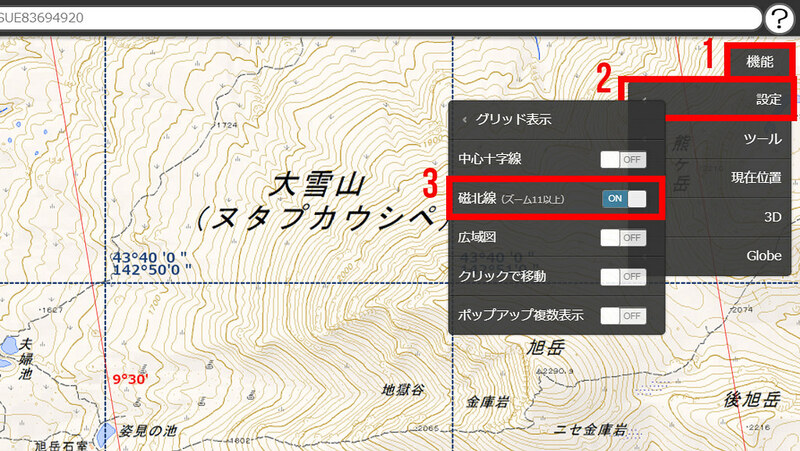 You’ve found the area you want to print, so now you need to click on the Function (機能) button at the top right. Before printing, we’ll add some grid lines to the map. First we’ll add longitude and latitude grid lines. The longitude/latitude values may get in the way of some place names or landmarks, so you may only want to show the magnetic north lines (as below). Or, you can add the magnetic north lines to the map and have them printed on the map. NOTE: The magnetic north lines will only display when zoomed in at least to level 11. Now you’re ready to print the map. You’ll jump to a print preview page. The default print format is A4 portrait. For our example, we want a larger area in landscape format. Click on the drop-down menu, and select the last option – A3横(高画質). This is A3 landscape (high resolution). Now you’re ready to print. Click on the ‘Print’ (印刷) button to the right of the dropdown menu, and your browser’s print dialogue will appear. Choose the corresponding printer paper size and orientation, and you’re good to go. The button to the right of the print button will take you back to the original map page. HANDY HINT: You can move/adjust the position of the map within the print frame by clicking and dragging. 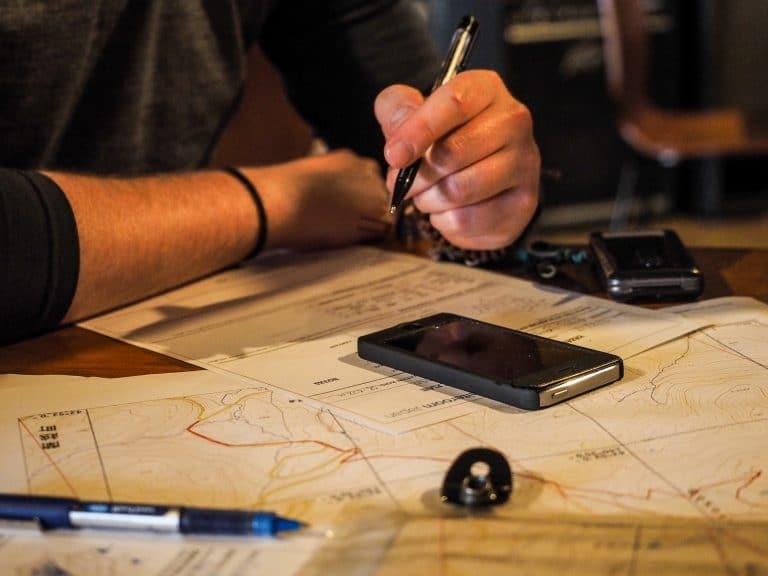 Now that you’ve got your paper back-up map for navigating with map and compass, let’s take a look at the smartphone apps for displaying the digital GSI topo maps. Geographica is a free app developed by a Japanese mountaineer, and has some good features in the non-paid version. Importantly, it pulls the Geospatial Information Authority of Japan (GSI) topographical maps, and has all the features you’d want from a smartphone navigation app. The avalanche risk shading overlay is particularly helpful for backcountry skiers, although the shading can be patchy at closer zoom levels. Access to GSI topographical maps in addition to Open Street Maps and Google Maps etc. Audio prompts for time, altitude and cues. Like all of the apps on this page, a SIM card is not necessary. Just download/cache the maps in a WIFI environment before you head out. 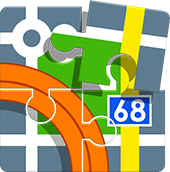 On the free version of the app, offline caching of maps is limited to about 300 tiles at a time, and the app will only store a maximum of 100MB worth of maps. For about US$10, this restriction can be removed. 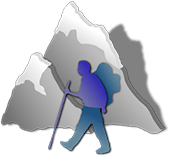 AlpineQuest GPS Hiking is a top-rated, extremely capable GPS app for Android, which has both a ‘pro’ version and a free ‘lite’ version. Only the paid ‘pro’ version – a one-off payment of US$7.99 – allows the addition of the GSI Japan topo maps. 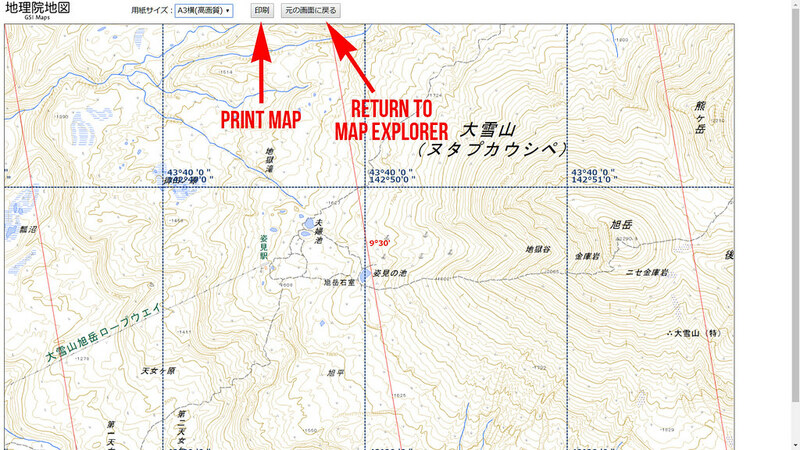 It is relatively easy to get the Japan topo maps displayed with only a few taps into the menus. For those who don’t read Japanese, perhaps the best feature about this app is that it is possible to overlay the Japanese topo maps with Google’s English maps, which instantly gives you English place names on the otherwise all-Japanese map. Like the Geographica app above, this fully-featured GPS app has all the tracking and navigation features you’d expect. 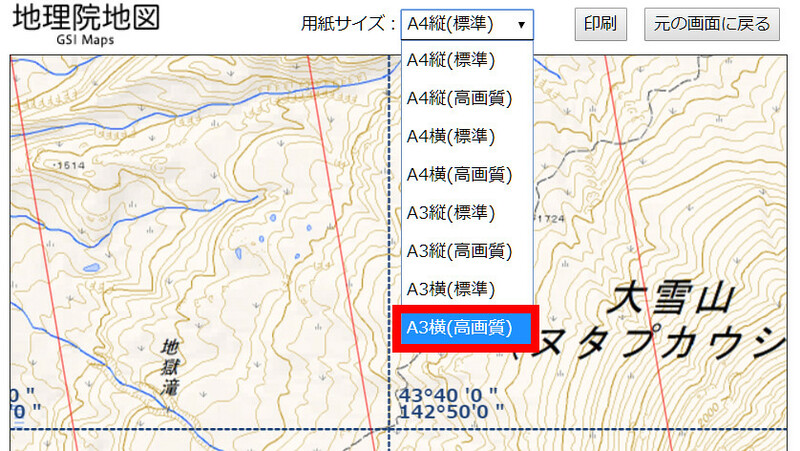 Ability to add maps on maps as transparent overlays – for example, add Google Maps with English place names as a semi-transparent layer over the Japanese official GSI topo map. Doing this will instantly get you English place names on the Japanese maps. AlpineQuest has a very intuitive way of selecting the zoom level and area for caching – very nice! I’m pretty sure you can cache maps for offline use, but after 10 minutes of poking around the menus, I couldn’t find where to do so. 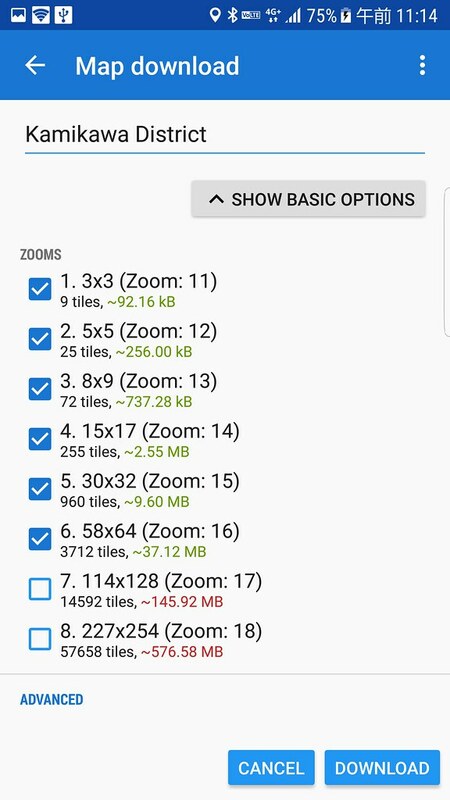 Edit: After Googling for the answer (here it is) I found that the area selection tool is pretty cool – you can select a polygon area rather than just a simple square, and you can choose not to download the coarser-zoom tiles (as displayed in the screenshots below). Very nice. For map layers, such as slope angle overlays, you’d need the pro version. Note, however, that Locus Maps doesn’t provide access to Google Maps (http://help.locusmap.eu/topic/google-map_2). 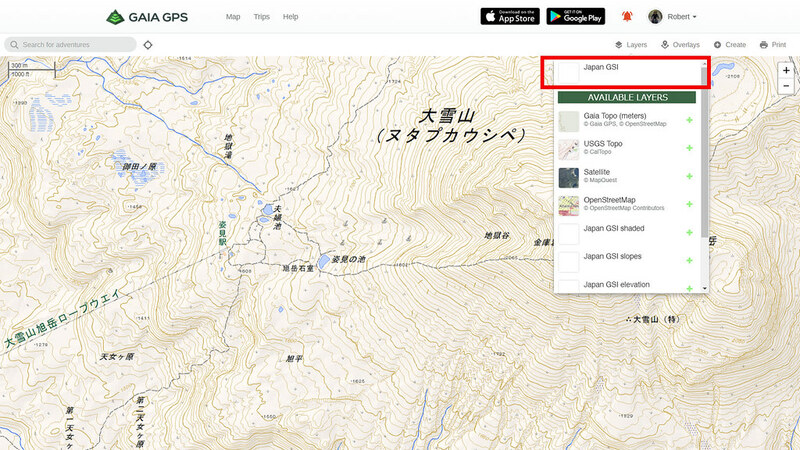 This is a pity, because using Google Maps as an overlay – as in AlpineQuest GPS Hiking – would display English place names on the Japanese GSI topo maps. Gaia GPS is unique among the apps on this page, in that it has a web interface that allows users to plan and create routes (much like RideWithGPS that I use for planning and displaying my routes on my website). The smartphone app that goes with Gaia GPS then gives you the ability to view those routes you created or uploaded. Any routes you record in the Gaia GPS app will also automatically be added to your online account with Gaia. With a little bit of extra effort, it is possible to use the GSI topographical maps on Gaia GPS. 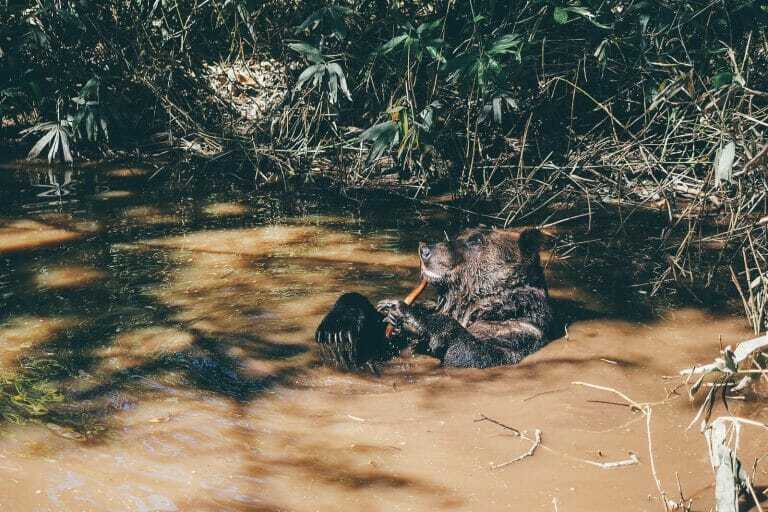 Thanks to jorion on Teton Gravity Forums for the heads up on this. To add the GSI maps, you’ll have to add them as a custom map in the web interface first, and then you’ll see them in your Gaia GPS app. Joel O’Rourke from SkiDescent.com gives the procedure in his post here, but I will reproduce the instructions here. 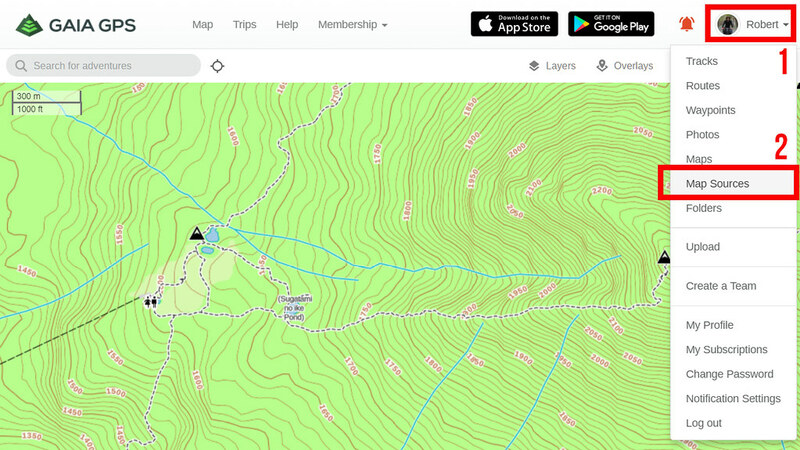 If you want to work with layers on your maps in Gaia GPS – such as putting slopes layers over the topo map base map – you’ll need to purchase the annual premium subscription (US$39.99). 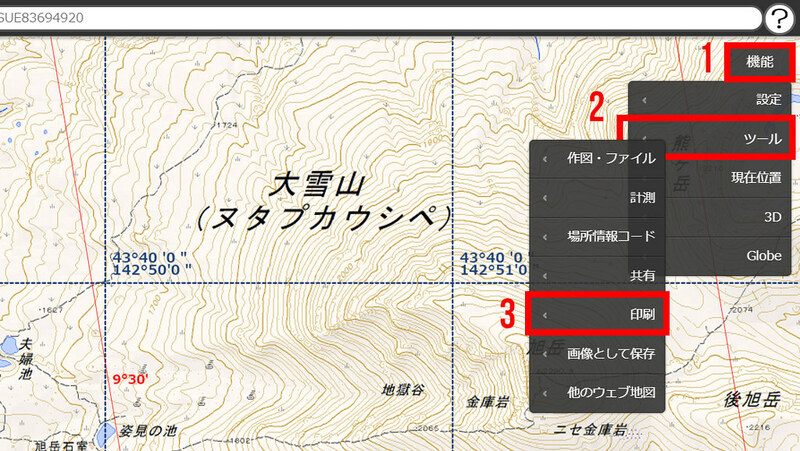 Unfortunately, there is no option to add Google Maps as a layer (https://www.reddit.com/r/GaiaGPS/comments/49kx2l/google_maps/) to get the English place names, as is the case with AlpineQuest. 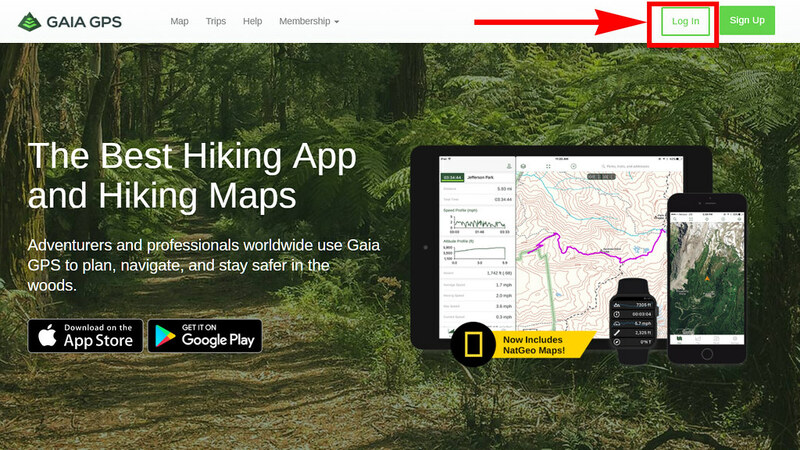 Before you even download the app, you’ll want to either log in to your Gaia GPS account, or make an account, on the web. You’ll see that the default Gaia GPS map is displayed. We want to change this to the Japan GSI topo maps. Click on your name/avatar at the top right. 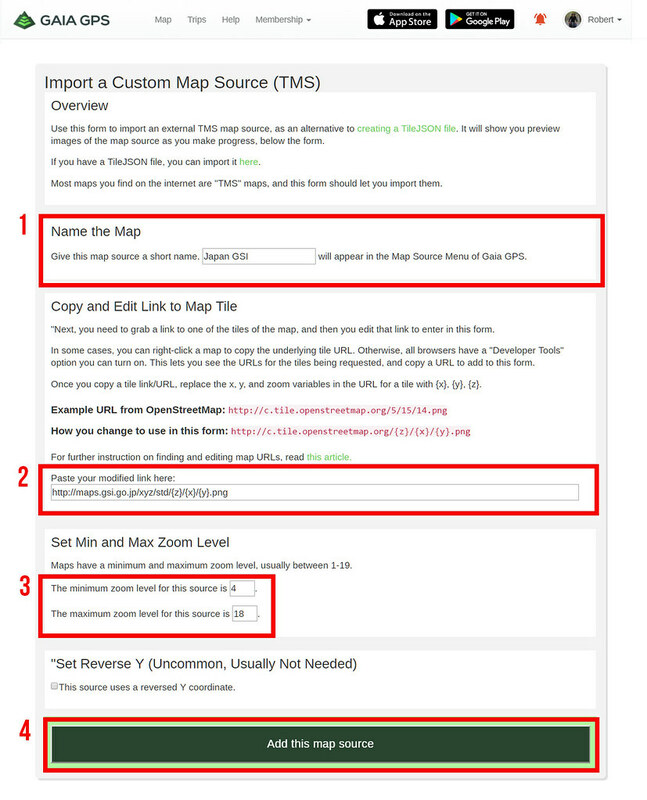 On this page, you enter in the details of the map you want to import. Next, enter the zoom levels. Minimum is 4, maximum is 18. Finally, ignore the preview section, and click Add this map source. This renders cities and bulidings in greyscale. 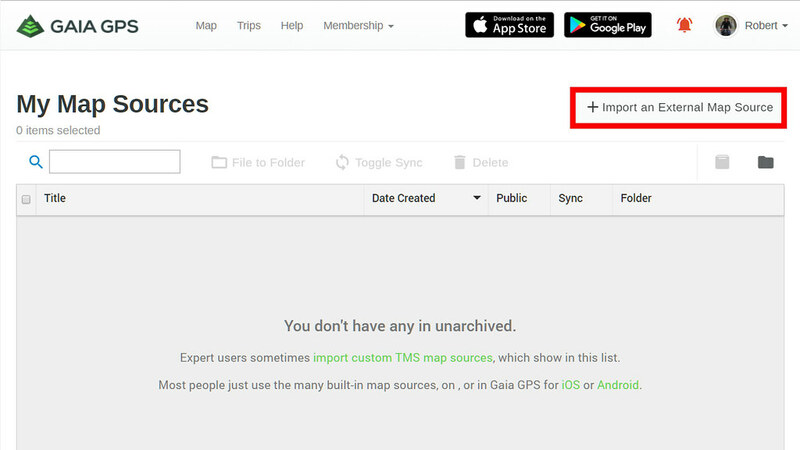 Now that you’ve added the GSI standard topo map, you can activate it in Gaia GPS on the web interface, as well as the app. If you add other GSI map sources such as slope angles and shaded relief, you can add those as layers on top of the GSI topo map basemap, but only if you have purchased the US$39.99 a year premium subscription. 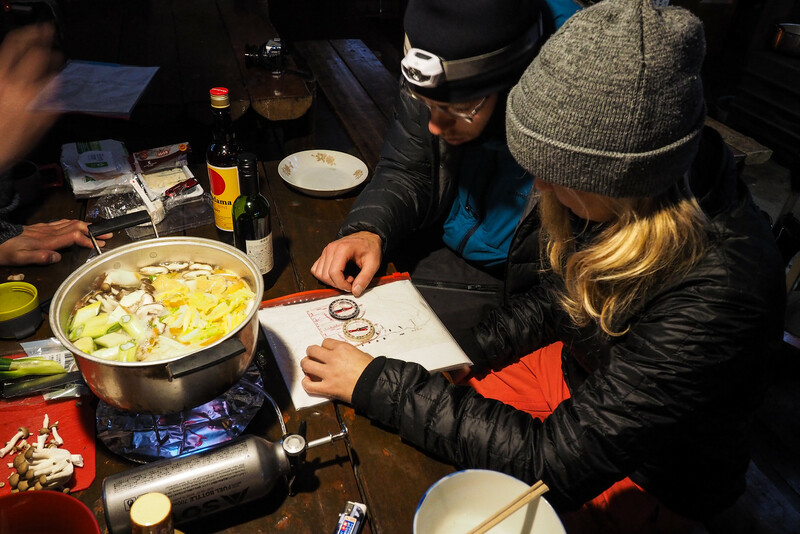 I am having trouble figuring out out to get the Japan GSI topo on to alpinequest. Can you help me out? 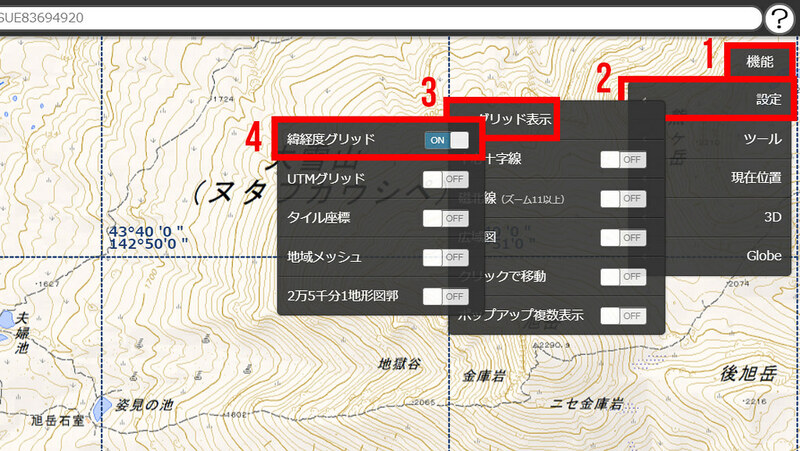 I am having trouble figuring out how to download the Japan GSI topo to add it to alpinequest. Can you help me out? This is awesome, thank you! Do you happen to know the color key for the slope map (e.g., orange is x degrees)? 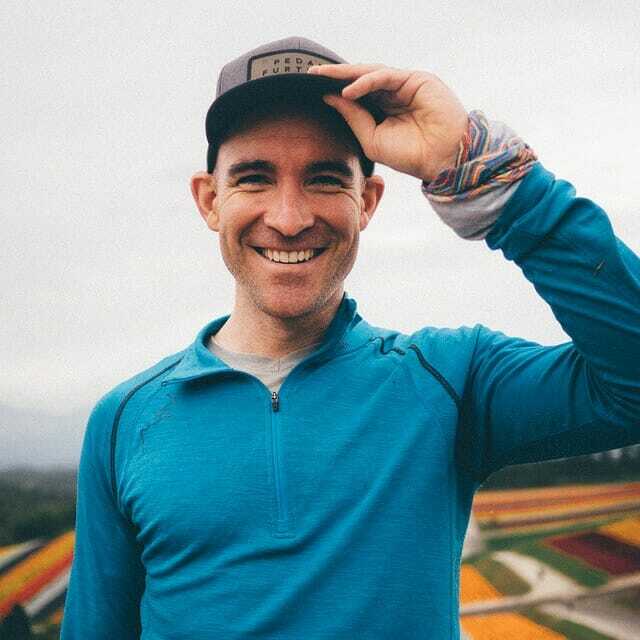 Hey Kyle, thanks for the query – it gave me the reason to look it up, and here’s what I found: https://maps.gsi.go.jp/legend/attention_slopezone1map.pdf. The colors go from white (0~30deg), orange (30~35deg), red (35~45deg), orange (45~55deg), yellow (55~60deg), and white (over 60deg). I hope this helps. Great article! Too bad there’s more options for Android than iPhone. It’s worth noting that after going through the whole procedure of importing the map sources into Gaia that you can’t actually see any of them without a paid subscription. Thanks for the feedback Gregory. Sounds like Geographica is the only feasible free option for iPhone then. Top work, thanks so much. Arriving Saturday. Looks a bit snowy for touring. Oh well, we’ll head for the trees. Maybe catch you for a day tour? Cheers! I am sure you’ll love it here. Pretty booked up for the next few weekends!